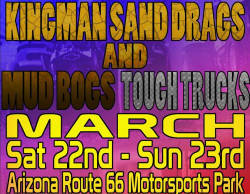 There is a busy weekend of sand drag racing weekend ahead on March 29-30 with three tracks holding events in California, Texas, and Arizona. - Santa Maria Speedway in Santa Maria, CA is holding their first point series race of the season on Saturday & Sunday. 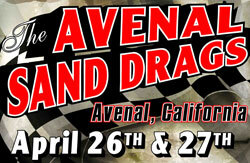 Click HERE to view the event flyer, or visit www.RaceSantaMariaSpeedway.com for more information. - El Paso Motorplex in El Paso, TX is also having their first point series race of the season this weekend. Racing action takes place on Saturday. Click HERE to view the event flyer, or visit www.ElPasoMotorplex.com for more information. 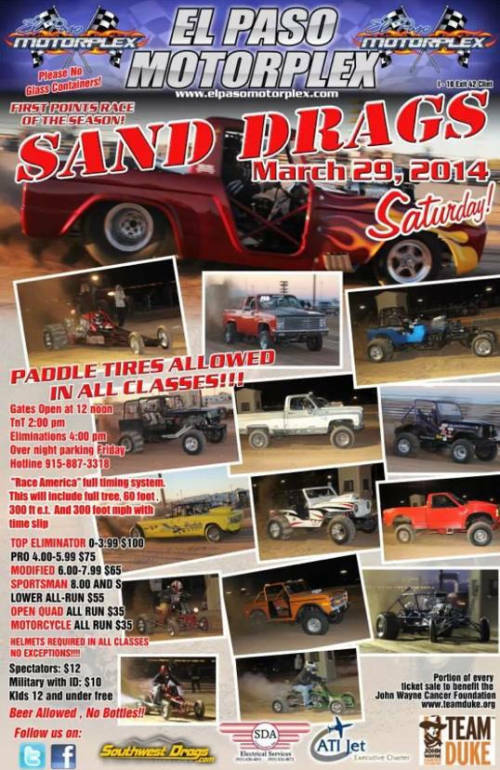 - Dome Valley Raceway in Wellton, AZ is having an all-day Test and Tune on Saturday. The track will be open for testing from 10AM-10PM. For more information, contact Ernesto Juarez at 928-503-9675. 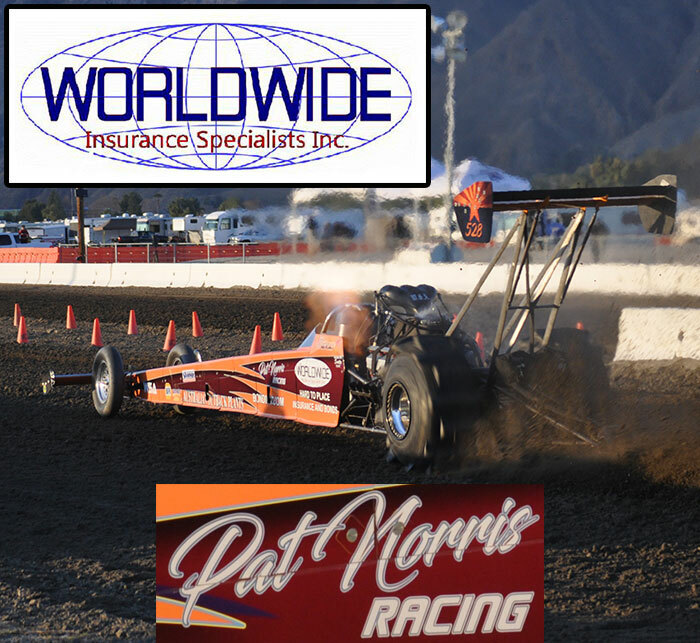 Dome Valley Raceway in Wellton, AZ will be holding an all day Test and Tune on Saturday, March 29. The track will be open for testing from 10AM-10PM. For more information, contact Ernesto Juarez at 928-503-9675.